I help women who are having problems conceiving get pregnant naturally. may have tried everything and may have practically given up – I always say there is a way. Chordess, I became pregnant after working with Veronica for a year. My husband had a very bad report of sperm production problems. 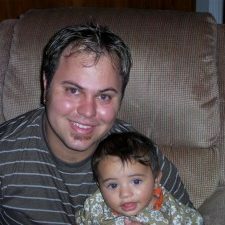 My husband was diagnosed with no sperm count. We found Veronica and worked with her for a year. She taught us how to trust Gods Word again. we believed and did all she told us to do. This s our blessed baby boy. To God be all the GLORY. Our New Faith Clinic Babies! TWIN GIRLS! Veronica Anusionwu with the TWINS! Our New Faith Clinic Babies! Amazing Grace! It is TWINS! TWIN GIRLS! What a mighty God we serve! “After my second baby, I was having problems conceiving again. After years of trying, I knew something was wrong. I turned to God for help. I signed up with Veronica and sat under her divine guidance. I conceived very quickly. Veronica teaches Gods word in a way you will be able to understand and use in your day to day affairs of life. Veronica, thank you for the great work you are doing. God is using you to wipe away tears in the eyes of many hopeless couples”. Glory Be To God I Was Never Barren! 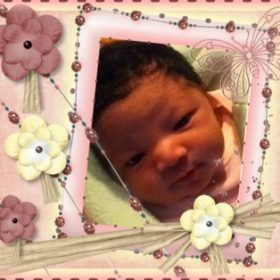 Herewith pictures of our beautiful princess Alyssia Marie. Thanks to the holy and mighty prayers you taught me I was able to conceive and have a blissful pregnancy and I am immensely grateful for having had you in my life at such a critical time. You have taught me so much about the goodness of the Holy Spirit and the faithfulness of our Magnificent God; I will never find enough words to express my gratefulness. Thank you for all your books, amazing books, your love and prayers. 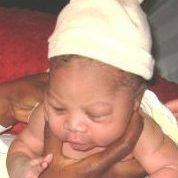 To God be the glory I was never barren!!!! After six years of marriage and infertility imagine my joy, when, I saw Veronica on the TV sharing her miracle books and testimonies. I immediately called her, and the following morning I was in her office. I told her my plight and asked her to agree with me for God to take infertility from my life. She introduced me to her coaching packages, and I signed up immediately to work with her. I am so happy that I signed up to work with her like two months into my pregnancy there was an emergency. Veronica worked with me as was me till I put to bed a healthy baby. 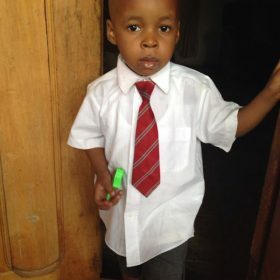 Baby Boy Blessing – After my fallopian Tubes were removed! I was introduced to Pastor Veronica by one of her ministry team, at a very trying time in my life. I had just lost a baby and my fallopian tubes taken away also. When Funke told me about pastor, I went to see her and she encouraged me and told me to trust God completely. 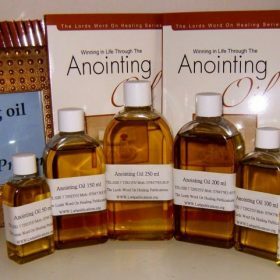 I got some of the books and the anointing oil. 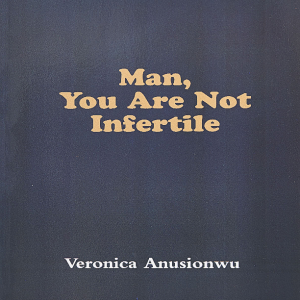 When I started reading her book, “Woman you are not infertile,” I could not drop it. I was amazed at God’s love and goodness through this book. 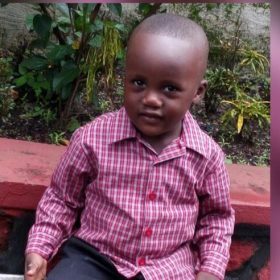 After so many years of miscarriage, God Almighty did it for Susan. Listen to her testimony on the video page. Pastor Veronica holding Teromi, Susan’s son! At the age of 49, my doctor told me I had only one abnormal egg in my womb. My chances of having a child with my eggs were zero and age was not on my side. Two months later I helped a lady deliver her baby. This lady was a personal assistant to Veronica Anusionwu. And she introduced me to Veronica, work. I quickly called Veronica and signed up to work with her. I followed all of her instructions, and within four weeks I got pregnant. When the doctor confirmed I was pregnant, I screamed and then went out and called Veronica Anusionwu. Today I have a beautiful baby girl. God’s Word Has Done Me Good! I have a baby boy. God’s Word Has Done Me Good! After 3 boys I thought getting pregnant will be easy for me. We desired another child and we started trying for almost two years without success. One day the Lord spoke to me. 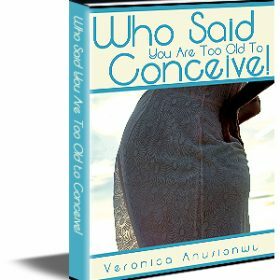 “Just because you are one of the ministry team does not mean you will not do what the women coming to the faith clinic are doing, read the book “Woman You Are Not Infertile” and do what it says and you will conceive”. 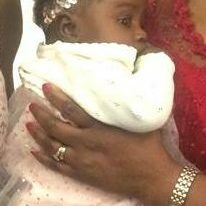 I obeyed God’s voice and three months later I conceived. “God’s word is true and has enough power to bless us if we will do what it says”. 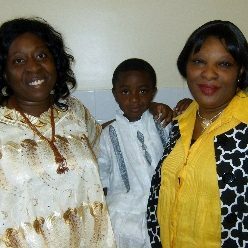 I flew in from the USA to attend your faith clinic and I want you to know God did not disappoint me. 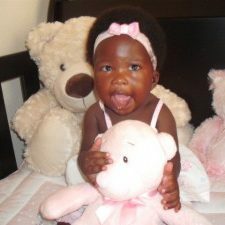 Look at my baby and see what God has done for me! Praise The Lord. Veronica,s books are anointed by God. I have all of them. If you have not read her books, I encourage you to. Your life will never be the same. Thank you for your powerful ministry of showing forth the word of God so that women all over the world can receive the blessing of children. I have been trying to conceive for over five years before I found you online. Your mentoring packages and your words of encouragement and proof of GOD’s will for us concerning children in the Bible, has strengthened our faith. We just found out this morning that we are pregnant! We thank you for your teaching and prayers and your passion to see the word of the Lord come alive in our lives. May Jesus continue to bless you as you bless others. After 5 years struggling, 5 years of crying every single month when that ugly red visitor arrived, I fell pregnant with my little girl. God is indeed faithful!I’ll NEVER forget your prayers for me when I was struggling to fall pregnant. Thank you, Veronica. “Hello Veronica, it is Ruth. I just wanted to testify because God has answered my prayers. 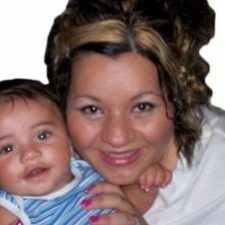 I contacted Veronica six months after I had a miscarriage. Also, doctors told me I had polycystic ovaries syndrome. When I saw Veronica on the Christian channel, I called her and signed up with her. She recommended some materials and put a prayer plan in place for me. She has been very supportive Six months after I signed up with her I became pregnant. I praise God for this miracle. 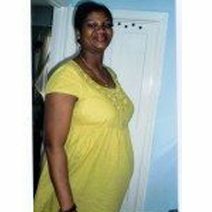 Now five months pregnant I know that what God has started he will complete it because He is faithful. Nothing is too hard or difficult for our Heavenly Father. Bless be His Holy name. Veronica is a true woman of God. Thank you from Ruth”. “I bought your mentoring package and followed all your recommendation. For the 1st time in my life, I started seeing infertility differently. Within one month I conceived”. 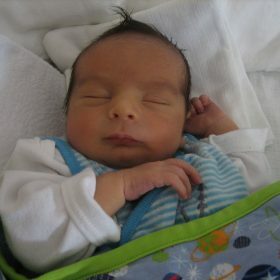 We welcomed our bundle of Joy, a bouncing baby boy! 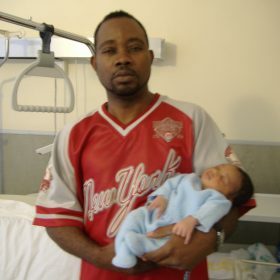 I came in contact with Pastor Veronica via the internet when I had just lost my new-born. I learnt so much from Pastor Veronica and even grew more as a Christian as I digested every word in her books and DVDs and set myself ready to conceive again. Within a short time, I did. Praise God!!! God is using Pastor Veronica Anusionwu to restore dignity to women, so take advantage of it and let Him make your life colourful. God bless you. Praise the Lord! I am PREGNANT! Pastor Veronica, praise the Lord. I didn’t think it had happened and was despairing- but it has and I am PREGNANT! It happened so quick in the end. 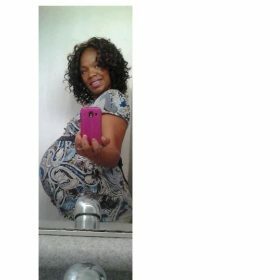 I am due at the beginning of November 2011. I am still trying to get used to the idea! Thank you for your “CD” missing keys to my prayers and your books and your powerful prayers”. I will be recommending your books to my friends. Thank you, Lord Jesus, that I am now a mother of 2 children. I thank God for using Veronica as a vessel through which He can reach folks like me. I prayed for years to have a baby without result. 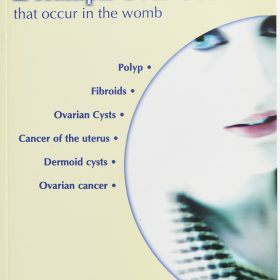 One day I saw Pastor Veronica in our church and bought her book, “Woman you are not infertile.” This book showed me the truth that God is ALIVE! After reading the first two chapters of the book, I believed God’s Word. The truth brings freedom and that’s what the book did for me. God is indeed the Almighty! What mighty revelations in this book. The rest is history. The doctor said it could not happen. When he found scar tissue, endometriosis, three cysts sitting on my fallopian tubes causing them to bend. The only solution offered me to have a baby was Invitro. 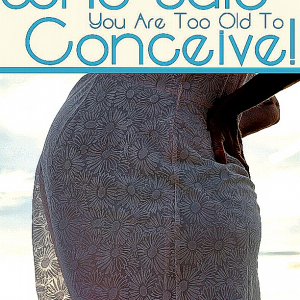 Thank God for the book “Woman You are not infertile” and Who Said You Are Too Old To Conceive? I leaned towards God’s promises and I started calling those things that are not as though they are well. Praise the Lord there is a baby there! Look at the scan and show it to the world. I had my fallopian tubes removed due to an illness. I tried everything possible to get pregnant, but all failed. I prayed, fasted and cried. Then I found Veronica and signed up to work with her. Her ability to teach God’s and her unshakable faith helped me to overcome the impossible. Judy shares her testimony how God blessed her with the fruit of the womb, using Veronica Anusionwu,s coaching and godly mentoring and her books. 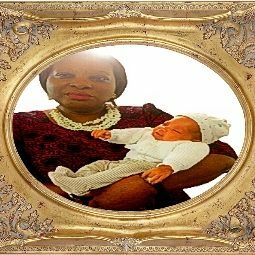 Testimony From Mary Hanson–“i Am Pregnant At Last! Praise God!!! My husband and I had been trying to conceive for 4 years. I somehow came upon you web page searching the Internet. 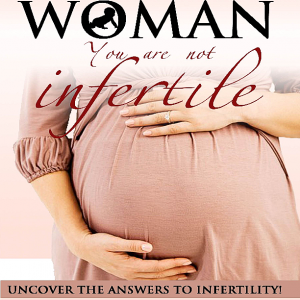 In October 2013 I ordered and read your book “Woman, You Are Not Infertile”. I have been reading and standing on the promises of the Lord’s Word. I just found out I am pregnant with TWINS. Praise God! ALLEUIA!!! Thank you and God bless you. I want to express myself to you, but I find my words are less. I am praying and asking God to bless you with abundance and in a great and grand way. You are a GIFT of God to the world! First time in my entire married life at age of 46 years I received a Positive Pregnancy Test. Today I checked my blood and urine report and I am enclosing the same for you to see. I thank you for your prayers and the miracle God has performed in my life. Thanks be to God for the book, “Who Said You Are Too Old To Conceive” and your faith messages and coaching skills. 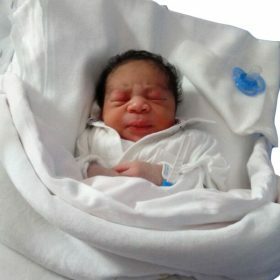 I am continuously praising and thanking God Almighty for this mighty miracle. My husband and I came to Veronica and explained to her the medical situation which had to do with my husband George. 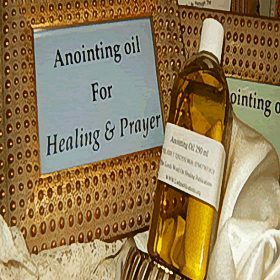 She recommended her great prayer and healing packages, and we signed on to work with her. She prayed and agreed with us. We used Gods word faithfully as she suggested for two months and conceived a child even though we had been told this was not possible. Today we have a beautiful daughter, and we thank Veronica and give all the glory to Jesus for what he has done for us. Amen! “God is a miracle worker. He leads us on the right path and guides our footsteps. I thank Him for bringing Veronica into my life. 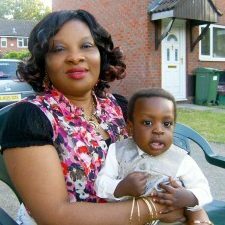 She is an amazing woman of God and He used her mentoring programme and her miracle books to give me this bundle of JOY. 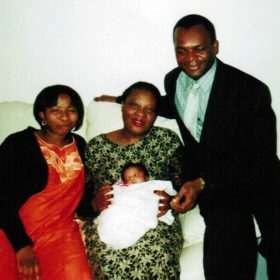 My friend brought me to see Veronica when I was believing God for a baby. Veronica recommended a suitable package for me. I bought all she recommended and followed her plan. Imagine my joy when I discovered the following month that I was pregnant. Thank you very much for your love and support. After years of trying to get pregnant despite the fact that both of us were declared medically fit. There were times when I used to cry and beg Almighty for a baby. Then one day I came across this site, and it touched me. Veronica coached and guided me, and God OPENED MY WOMB. I confirmed my pregnancy immediately. I have been trying for 3 and half years) ….. I got in touch with Veronica and signed-up with her for her coaching. Veronica’s coaching and her teaching have done it for me. You inspired me to believe that things would happen for me and GOD would bless me. I am four months pregnant now, and I thank you so much, Veronica”. Click to Listen to Ascencos testimony and you will be amazed at how great our God is. She was told her chances of pregnancy was 00.7 chance of having a baby. she worked with me and God turned it around for her good. My name is Elizabeth. I got information about Veronica and her books through a television program. I contacted her y and went to see Veronica. She guided me to choose a package that works for me. I prayed according to the plan and I got pregnant in September. I am so happy now.If you are struggling to get pregnant, please sign and work with Veronica. You will be blessed like I am now. 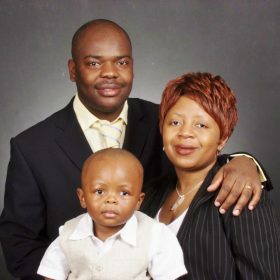 God blessed my family with a bouncing baby boy using Veronica’s books, teaching, faith clinic and godly counselling. The Lord is MIGHTY, and Veronica His servant is a worthy vessel. God bless you richly ma. ” Veronica! 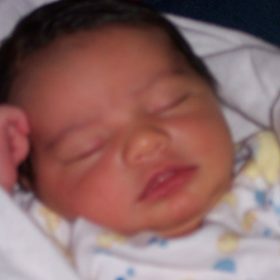 Just wanted to let you know that the little baby boy The Lord blessed us with turned 5 on yesterday. We give God all the glory every day. We signed up with you and you put a plan in place and prayed for us and we got this miracle. 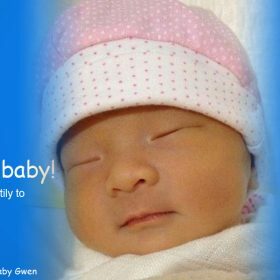 We give GLORY to God that when the doctor told me my fallopian tubes were bent, had scar tissue, endometriosis, and cysts and that I would have to do invitro…God gave us that baby without in-vitro! “Thank you, Veronica, my husband and I have been married for eight years. We had difficulties conceiving until we signed up on Veronica’s coaching and got ministry materials. After three months I was pregnant. God has done great things for us; we give him all the praise. Our son is turning one year in November and we are ever blessed by your work. I feel very happy to have got this site. I just wanted encouraging message from biblical women who had difficulty conceiving. I have had two miscarriages; one in October 2009 and another February 2010. Now I was wondering what next as I am really praying for healthy pregnancies and babies. I thank God for letting me get to Veronica’s information and about the books she has written. Thank you, Veronica. “My wife and I want to thank God again for you and all that you have done for us. Attached is the evidence of God’s miracle-working power. We signed up and worked with Veronica and our lives have been changed. 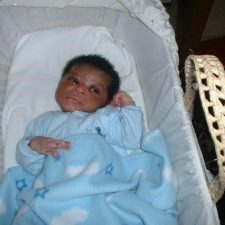 Emmanuel is today 14days old and he looks 3months old. Thank you so much for allowing God to use you, Veronica. “Veronica God has done it for us. We stood upon His word as you guided us through your spiritual coaching materials. And God has given us a baby BOY Today! All glory and praise to God. Rakim and Chika. No More Fibroids In My Womb! 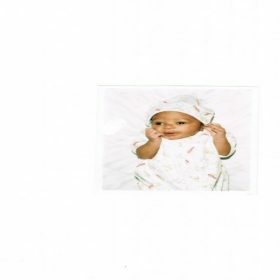 “I contacted Veronica when I was pregnant and threatened with fibroids and placental problems. I signed up for the emergency package with Veronica. Praise GOD I have got good news. I decided to follow the plan as you advised. I went back to see the Doctor, and there are no fibroids in my womb. My placenta is fully developed, and my baby is fine. GOD is so good. I am so happy for this good news. God bless Veronica for your love and prayers”. 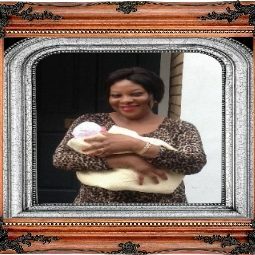 God Gave Me Victory Over Scar Tissues And Endometriosis In My Womb! I Am Pregnant! Praise God! Hi Sister Veronica, I happy to inform you that I found out I am pregnant when I had a doctor’s appointment last Thursday. I wasn’t surprised because I have been confessing the Word over myself and for my baby boy that I desire. After you prayed with me at the Faith Clinic, I continued to read the books and pray the prayers in the book every day. Praise The Lord!! I’m Pregnant! Praise the Lord!! I’m pregnant! All glory to God!!!!! Blessed through this ministry, to the glory of God! I Have A Baby Girl! I thank God for Veronica Anusionwu and her work. My husband and I endured years of infertility treatments, disappointment and heartache. When doctors gave up on us, I was devastated. Then I came in contact with Veronica’s work and today I have a baby girl. I Have Delivered A Baby Girl! I would like to share my testimony of answered prayers. I have delivered a baby girl. 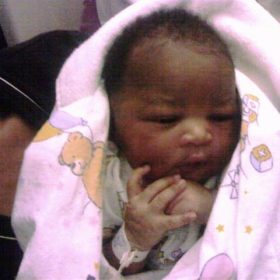 She was born in December, two hours in labour. God has done it! Thanks for your support and mentoring and allowing God to use you through the life-changing teachings you gave me. I will call you this week also. 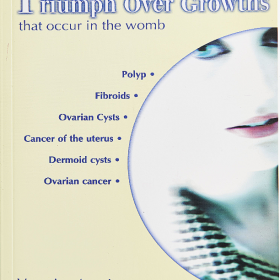 I recently bought Veronica’s book on “Triumph Over growths that occur in the womb” Pastor Veronica also shared her testimony of how God healed her from fibroids in her womb. I believed God’s word and claimed this testimony in faith for myself. And today I went in for surgery to remove fibroids in my womb and to God be the glory, nothing was found. God had done the surgery and removed them all by himself. I praise God! ALLELUIA!!! I Have Been Trying To Conceive For The Past 7 Years! Good afternoon Pastor, I want to thank God for using you to bring hope to the weary and may God abundantly bless you. My first child is 10 and I was trying to conceive for the past 7 years. I thought I could never have a child again. But after finding your website and receiving emails and your books, I learned to trust God and stand on His promises for my life. 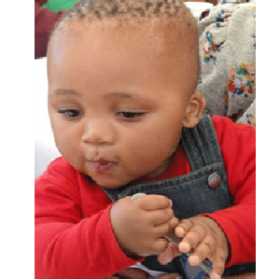 Now I am excited to announce that I have a 6-month-old gorgeous baby boy, his name is Omogolo (God is great). All praises be unto God of our salvation. ALLELUIA!! Thanks. I Have A Baby Boy! 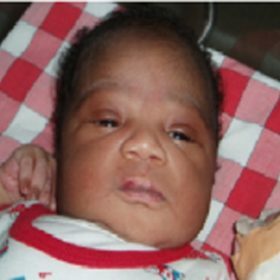 This is my miracle baby, Elijah Mustapha Thorpe. He weighed 7 lbs 11 oz, 20 inch long. 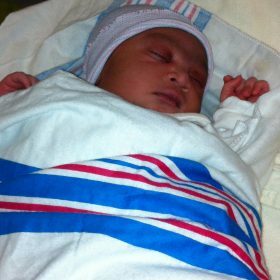 God Gave Me A Baby After A Cyst & Miscarriage! After a miscarriage and a cyst operation, I became infertile for three years. Chinese medical and herbal doctors treated me. It was all in vain. I came across Veronica’s website and ordered all her books. I invested in her coaching packages. I read and prayed God’s word. Eight weeks later I conceived. Just look at me now with baby Eunice. Surely God is great! ALLELUIA! 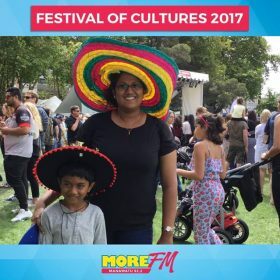 I attended the faith clinic last year. Before this time, I had been trying for three years to get pregnant. I had even undergone IUI treatment which failed. After faith clinic and prayers to the glory of God by the end of the following month, I was pregnant! Praise God!!! Told That I Had Endometriosis And Was Infertile! Thank you, Aunty Vero, for praying for me. God has taken barrenness away from my life. 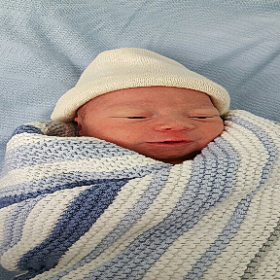 My son has been born safely. I will never forget you. Thank God for you! All glory goes to God! ALLELUIA!!! Veronica, your books are so amazing! I thank God for you. I live in Zimbabwe. Is there a place where we can buy your books? Because they are truly a blessing! 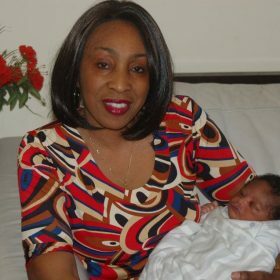 I read your book, “Woman you are not infertile” when I was believing God for a baby and to the Glory of God, that same month, I got pregnant, I praise my God and I pray that God will continue to use you in a mighty way. There are a lot of people I know who have the problem of infertility and if I know where to buy your books in this place, it will be a blessing for them. May’s Testimony-nothing Is Too Hard For Our God!!! 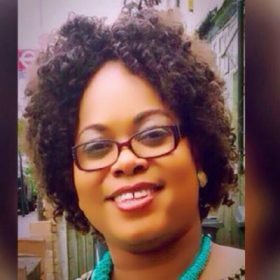 May’s testimony-Nothing is too hard for our God! “This is my story! After everything had failed me, God used this minstry to give me a baby. A baby boy! The work of the minstry is priceless. Pastor Veronica, God has used you to bless me. I also will forever be a partner of this minstry. Let me know when you need help, I will always be there to help you with this good work”. Praise God!!! Miracle Working God Has Glorified His Name In My Life! For twenty years I looked for the fruit of the womb without success. My brother-in-law bought me Pastor Veronica,s books and introduced me to Pastor Veronica who put a prayer plan in place for me. 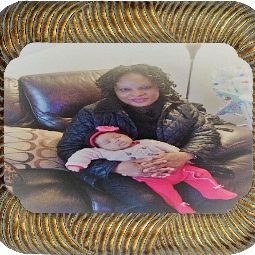 Two months exactly after getting Veronica’ s materials and prayer plan, I became pregnant. 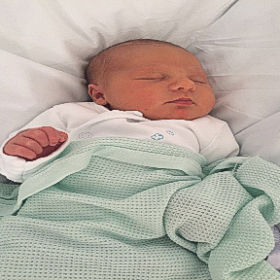 On the 27th of December, I gave birth to my firstborn son. Six months later I was pregnant again with my 2nd son. God opened my womb and gave me two in a row. Now my hands are filled with children and the twenty years of waiting is forgotten. Thank you, Lord. Anthonia. Let’s work together so I can help you move forward towards your dreams. 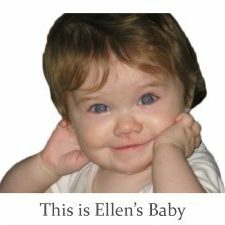 You can have your baby; I am here to help you make it happen.